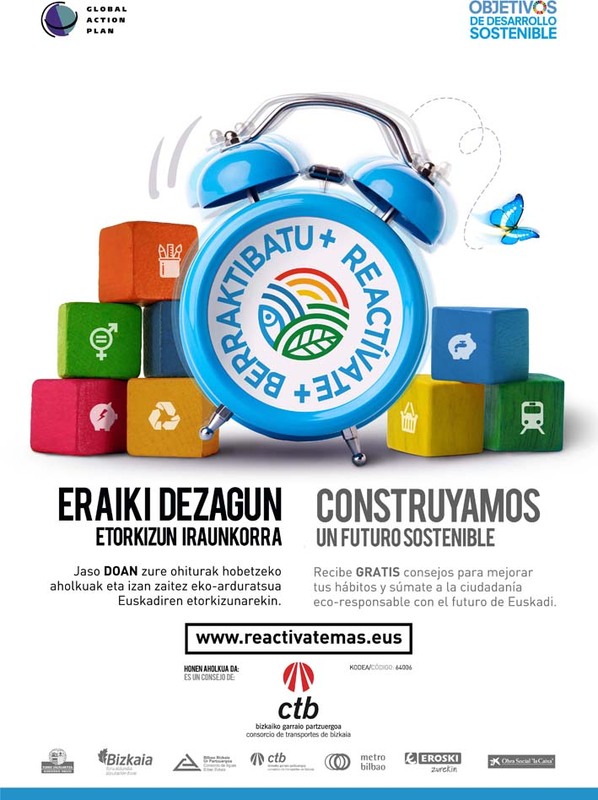 ReActívate + is a program that aims to involve citizens in order to change their lifestyles and thus achieve progress in the sustainability of the Basque Country. It will take place in the Basque Country between 2018 and 2021. It is aimed at homes, schools and the university community and has three specific free programmes that run in parallel.